Family Read Night was a huge success! Our night was centered around a big birthday party for our favorite author...Dr. Seuss! Our students and families became author's as well. Thank you to our PTA, teachers & families who made this a night to remember! To continue the learning at home, here is a great Youtube video that demonstrates how to read with your child. Here are a few handouts to help you as well. 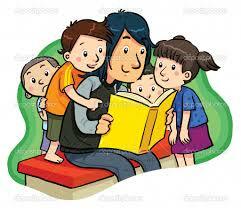 If your child asks for a story to be read again…Read it again! Repetition assists your child in gaining word recognition, story sequence, vocabulary, story book language, etc. Choose stories that both of you will enjoy. Think about what your child’s favorite things are or what they like to do. Read traditional tales and rhymes. Books with lots of repetition, predictability, and rhyme are perfect for young readers! Try to set aside a time to read with your child every night!